Following is required for the successful install and usage of this theme. WordPress (Latest Version) – freely download it from wordpress.org website. Beaver Builder Theme – You will not get the Beaver Builder Theme for any circumstances. You’ll purchase directly from wpbeaverbuilder.com website. NAMO Child Theme – purchase directly from WP Beaver World website. 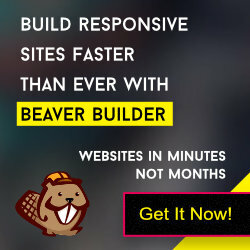 Beaver Builder Plugin – purchase directly from WP Beaver Builder website. Before starting the theme installation, please make sure that the latest version of WordPress is already installed on your system and you have the login details of your Dashboard. Automatic ‘Upload Theme’ option from the WordPress Dashboard. Log in to your WordPress dashboard and go to Appearance -> Themes option. Click the Upload Theme button at the right side of the ‘Add Themes’. Click Browse button and then find or browse to the theme zip file on your computer. Select the bb-theme.zip file and then click the Install button. Similarly, upload the zip file of Namo child theme by following the same procedure. Unzip or extract the zip file into respective folders. Using a FTP client, log in to your server. You can either use the web FTP option located in the hosting control panel or use any free FTP software program (like FileZilla). Navigate to wp-content/themes directory (folder) location. Transfer the ‘bb-theme’ and ‘bb-namo’ folder to this folder location. Now navigate to Appearance -> Themes, click on “Activate” button and activate the NAMO Child theme. Similarly you will add more sliders. Now navigate to Appearance -> Widgets page and drag&drop the “Namo – Slider” widget at Home Top widget area. At first install the Widget Importer & Exporter plugin by churchthemes.com and activate it. After activating the plugin you will navigate to Tools -> Widget Importer & Exporter page and import the namo-demo-data/namo.sidebar.wie file. Later you can delete this Widget Importer & Exporter plugin from your site.